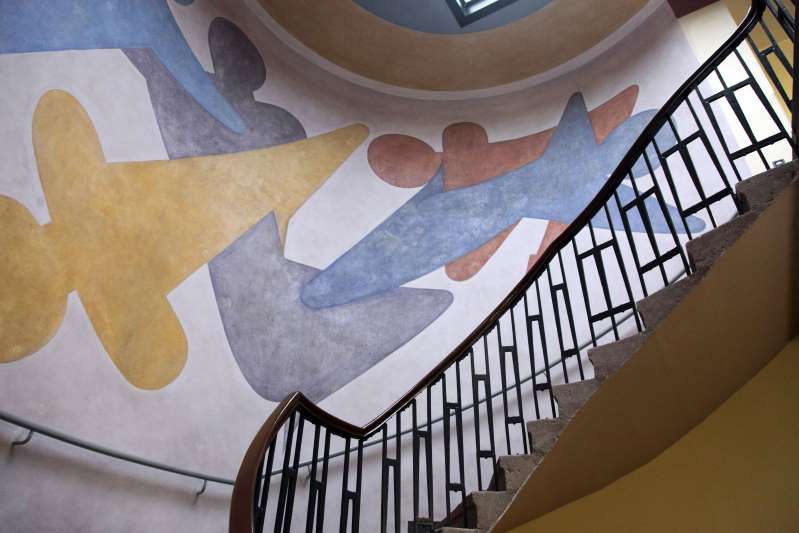 The famous Bauhaus art school opened in Weimar in April 1919, and during its short lifespan it moved to Dessau and then to Berlin. 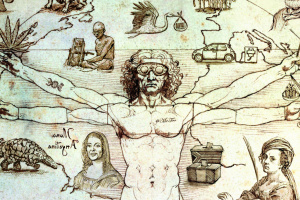 The architecture, art and design that was created there is revered around the world to this day. 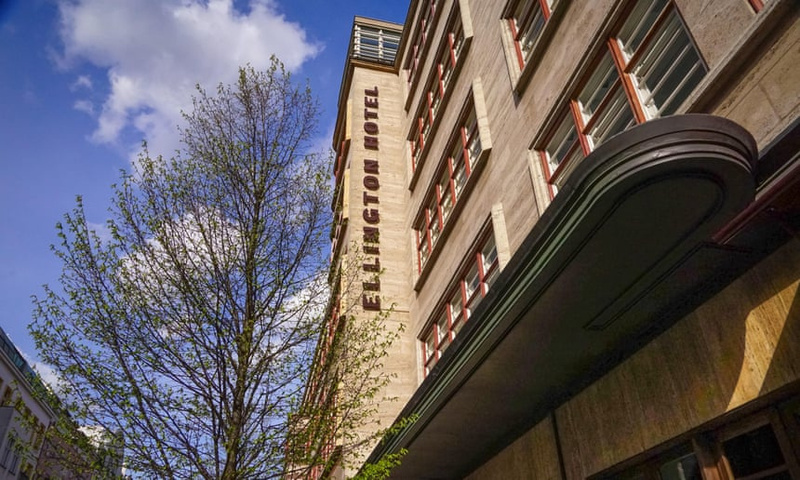 To mark the centenary, we invite culturally minded travellers to explore the birthplace of Modernism. 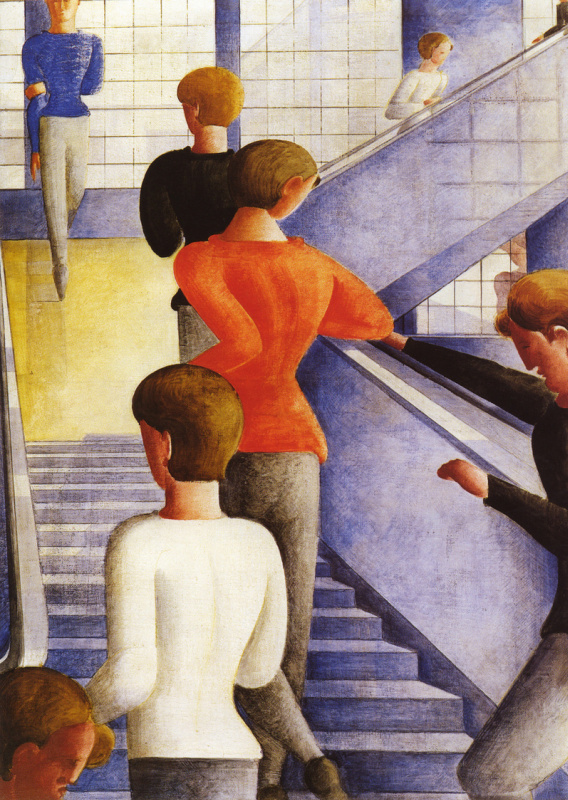 Thanks to "The grand tour of modernism" everyone can discover the many facets of the Bauhaus movement and visit interesting places, exhibitions and events marking this occasion. Around a hundred of outstanding modernist buildings are selected on the basis of their relevance to cultural history and linked together to form an attractive travel route which can be experienced by rail, car or bicycle. 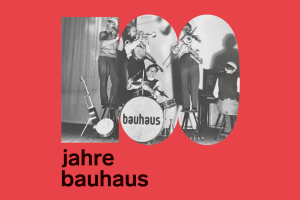 2019 marks the centenary of the founding of the world-famous Bauhaus. Founded in Weimar in 1919, the art school moved to Dessau in 1925 and was forced to close in Berlin in 1933, when the Nazis came. Bauhaus existed for only 14 years. The founder of the the Staatliches Bauhaus, widely acknowledged as the 20th century’s most influential school of architecture, art, and design, was Walter Gropius. 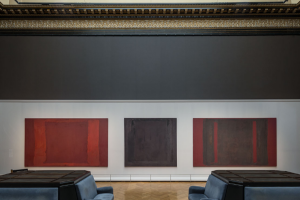 Despite the sudden closure, the legacy of the Bauhaus continued to grow and expand its influence, leaving an undisputed mark on the art and architecture of Western Europe, America and other countries. 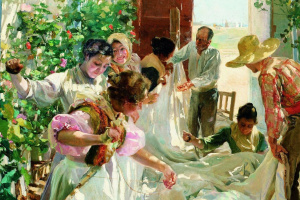 Its influence can be seen 100 years later in industrial, graphic, and interior design all around the world. 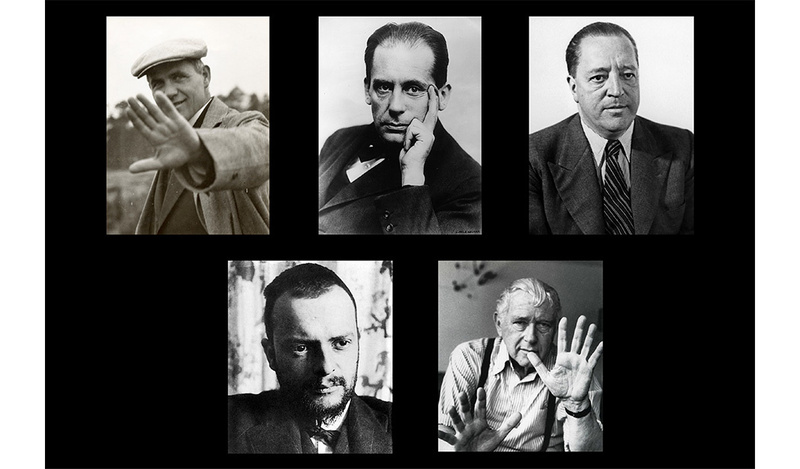 The Bauhaus instructors included some of the most famous contemporary artists and architects, such as Ludwig Mies van der Rohe, Wassily Kandinsky, Josef and Anni Albers, Paul Klee, László Moholy-Nagy, Oscar Schlemmer and Lily Reich. The school—which, despite its name ("building house") and the fact that its founder was an architect, did not have an architecture department during its early years—was established with the idea of creating a total work of art (gesamtkunstwerk) in which all disciplines would be brought together. Another organization, founded in 1960 to collect works of art, objects, documents, and literature related to this movement was the Bauhaus Archive. Opened in Darmstadt, the collection rapidly expanded, and Gropius was asked to design a museum (and he designed it in 1964), although local policies prevented its implementation. Recently closed for construction works, the Archive will be reopened in 2022 — while it occupies temporary space in Charlottenburg. 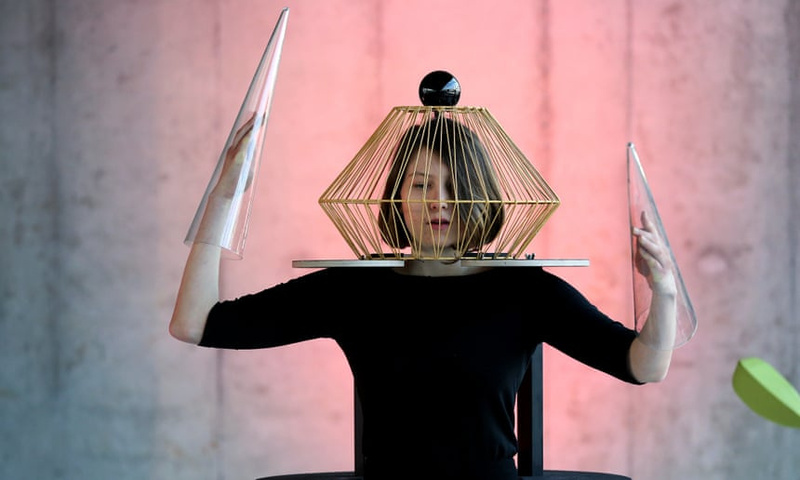 The 100 Years Bauhaus opening festival was held in January at the Berlin Academy of the Arts, and enthusiasts will have numerous unique opportunities to engage with the Bauhaus legacy throughout the year. Art and technology, light, colour, sound and movement and the relationship between humankind and machine played a key role in the programme. 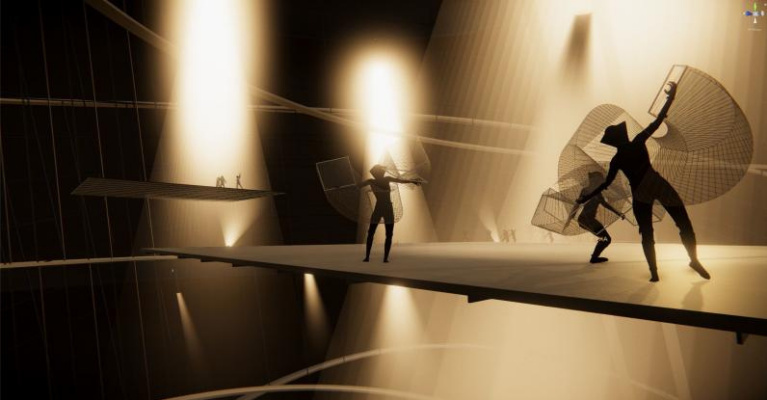 In the "Das totale Tanztheater" (Total Dance Theatre) virtual reality installation, for example, in cooperation with Filmtank and Artificial Rome, choreographer Richard Siegal allowed the audience and the action on stage to blend with one another. 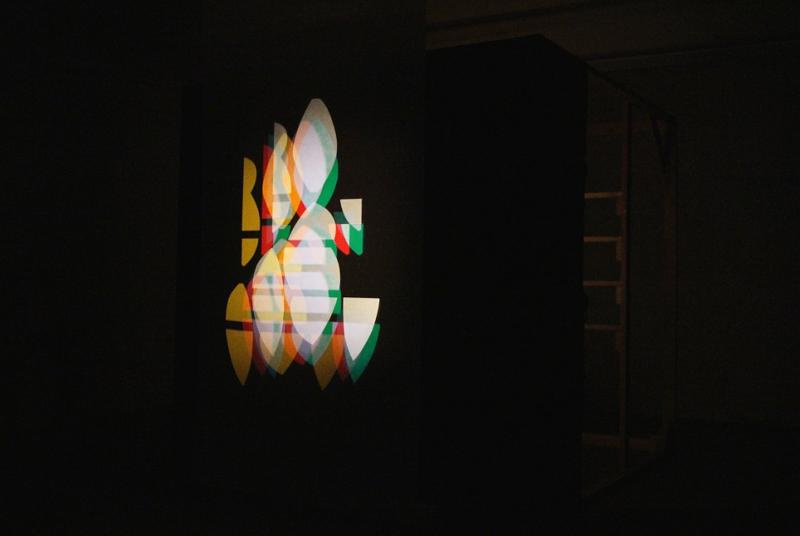 This exhibition looks to the immaterial and performative nature of Bauhaus alumni Kurt Schwerdtfeger’s reflecting light plays, which were originally produced for an institution party in 1922. Germany’s ‘Bauhaus Imaginista' programme features four exhibitions worldwide (China, Japan, Russia and Brazil) that are happening this year and next, while a string of institutional exhibitions across Germany look at the waves Bauhaus made in the nation of its founding. Kurt Schwerdtfeger, Reflektorische Farblichtspiele (Reflecting color-light plays, 1922 light performance, apparatus reconstructed 2016. Courtesy of Microscope Gallery and Kurt Schwerdtfeger, 2016. 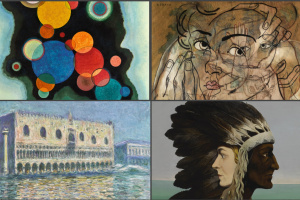 The Neues Museum in Weimar — the city where the Bauhaus began — is celebrating the legacy of the school with a new long-term exhibition of early works of modernist art from Weimar, and its relationship to the German philosopher Friedrich Nietzsche. 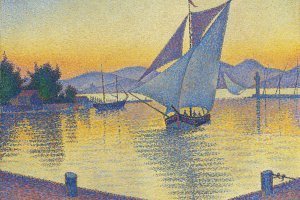 The new permanent exhibition "Van de Velde, Nietzsche and Modernism around 1900" features outstanding international works of Realism, Impressionism and Jugendstil which exemplify a radiant, but ambivalent chapter of art history with numerous references to contemporary trends. The exhibition will also present numerous functional and elegant works designed by Henry van de Velde. 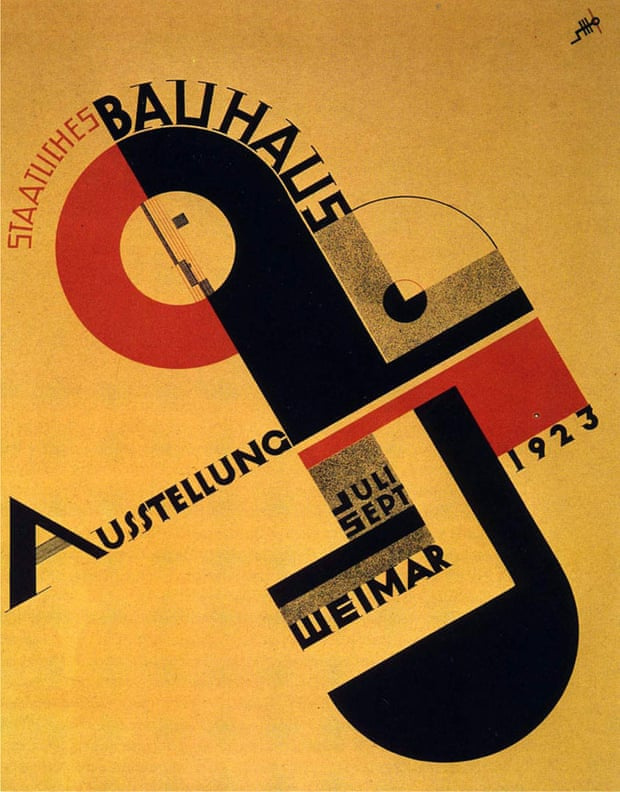 Left: Poster designed by Joost Schmidt for the 1923 Bauhaus exhibition in Weimar. 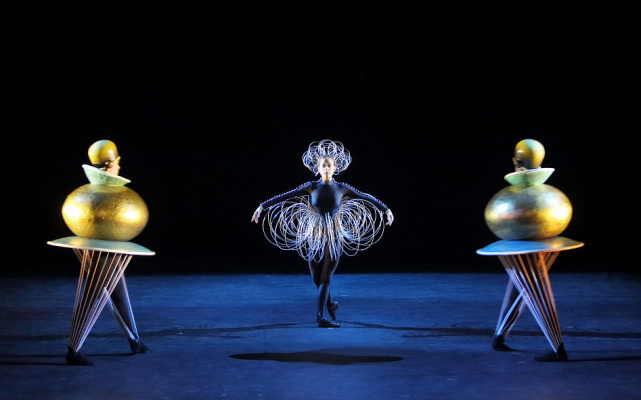 This exhibition focuses on the life and work of avant-garde artist Oskar Schlemmer, who is recognised for his cross-disciplinary contributions as a painter, draughtsman, graphic artist, sculptor, stage designer and muralist. 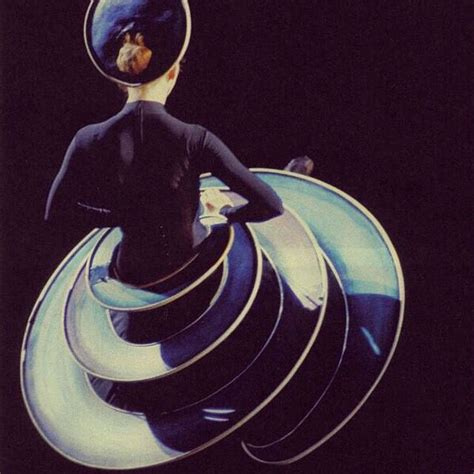 Oskar Schlemmer. Bauhaus Stairway, 1932. MoMA, New York. Oskar Schlemmer. "Triadisches Ballett / Vestimenta de Ballet triádico / Triadic Ballet Costume", 1922. 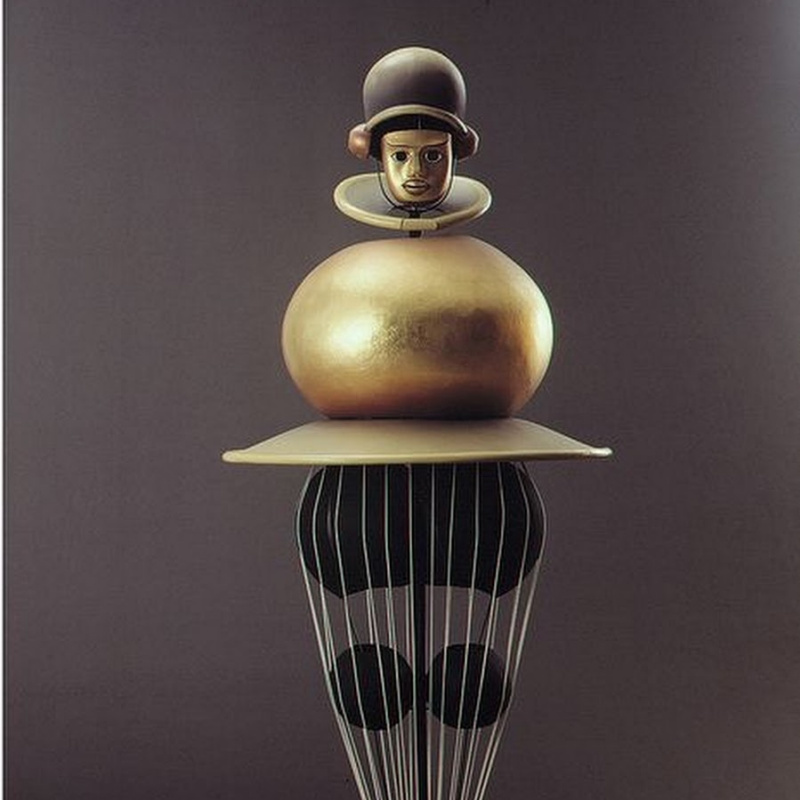 Oskar Schlemmer. 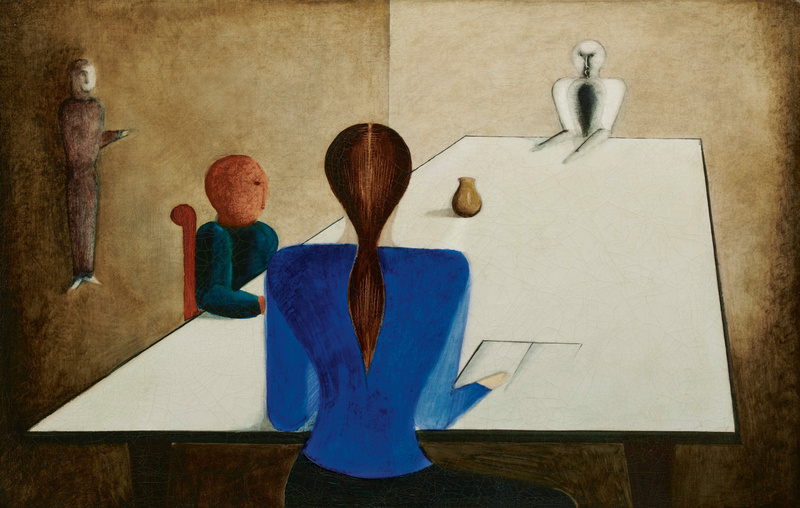 TISCHGESELLSCHAFT (GROUP AT TABLE), 1923. 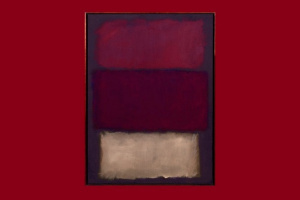 This painting was sold at Sotheby's for £2.6 million / $3.4 million – setting a record for the artist, the last major oil by whom was sold at auction in 1998. 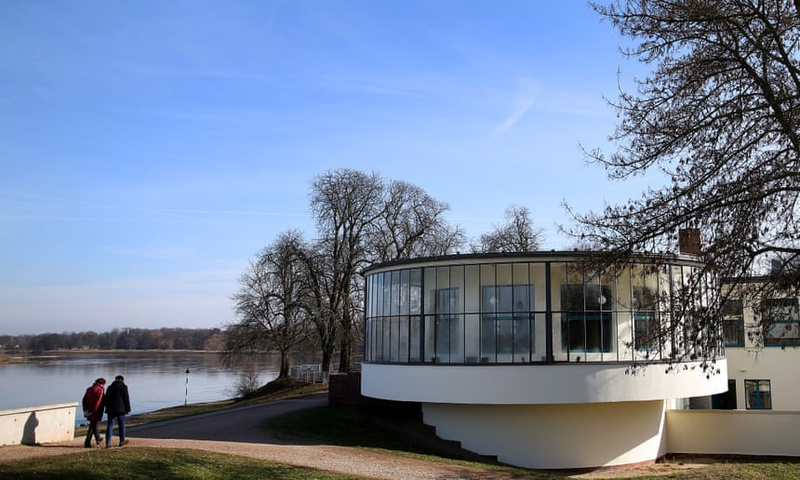 A new museum is set to open at the Bauhaus' school building in Dessau. Bauhaus Museum Dessau, designed by Barcelona-based studio Gonzalez Hinz Zabala, will present the first-ever comprehensive exhibition of the Bauhaus Dessau Foundation’s collection. It is designed in the Bauhaus spirit, featuring expanses of glazing and an exposed framework. The Bauhaus Dessau Foundation’s collection, with 49,000 objects and documents and the second largest Bauhaus collection in the world, will be displayed in the city park. Costing 28 million euros and funded by the Federal Government and the federal state of Saxony-Anhalt, it has been years in the planning. With the museum’s foundation stone laid on December 4, 2016, it marked the 90th anniversary of Gropius' first Bauhaus Building in Dessau: history happily repeating itself. Addenda architects (Gonzalez Hinz Zabala) presented a concept for a building within a building, a soaring steelwork block in a glass envelope. 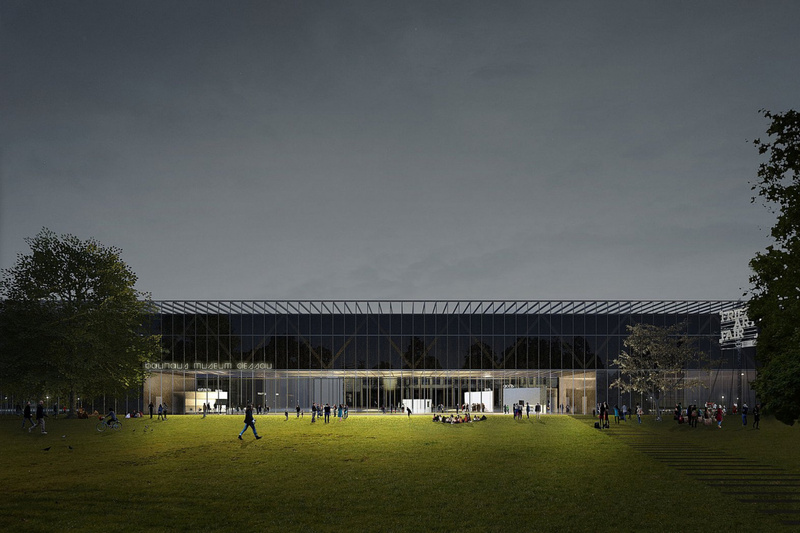 The upper floor has an enclosed ‘Black Box' in which the collection will be housed, while the ground floor and foyer appear as an ‘Open Stage' with huge glass windows, a site for the presentation of temporary exhibitions and a platform for performance. Collecting, preserving and conserving the collection will be the museum’s raison d’etre. The Bauhaus Archive Museum of Design presents the ‘famous, familiar and forgotten Bauhaus originals' exhibition, including art and design objects from the Bauhaus-Archiv's collection, loans from international collections and the history behind them and re-examine the Bauhaus legacy. The 14 objects will each be a case study for more questions, for example: How did the woman sitting on the tubular-steel chair become the most famous anonymous figure from the Bauhaus? And, does the Haus am Horn in Weimar have a secret twin? 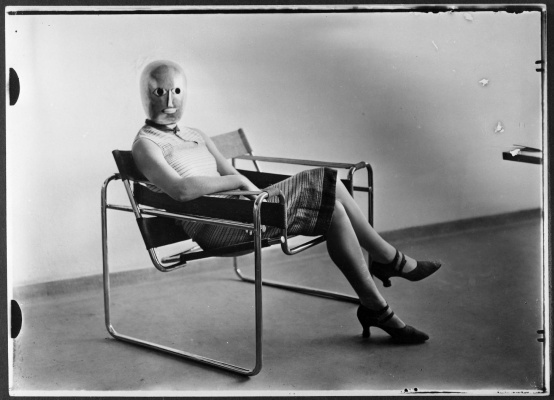 Left: Woman wearing an Oskar Schlemmer mask sitting on Marcel Breuer’s Wassily Chair, around 1926. Operating over three consecutive weeks in three different cities, the Triennale der Moderne aims to build a "network of modernism" and raise greater public awareness of the buildings and avant-garde relationships of the early 20th century. "‘Form follows function' is one of the most well-known principles of the Bauhaus movement"
The Bauhaus brand has become a compendium of modernist clichés: design classics like the Wassily Chair or, in architecture, clear lines, flat roofs and divided facades. The slogan "form follows function" has somehow become associated with Bauhaus, although it was actually coined in the United States 20 years previously. 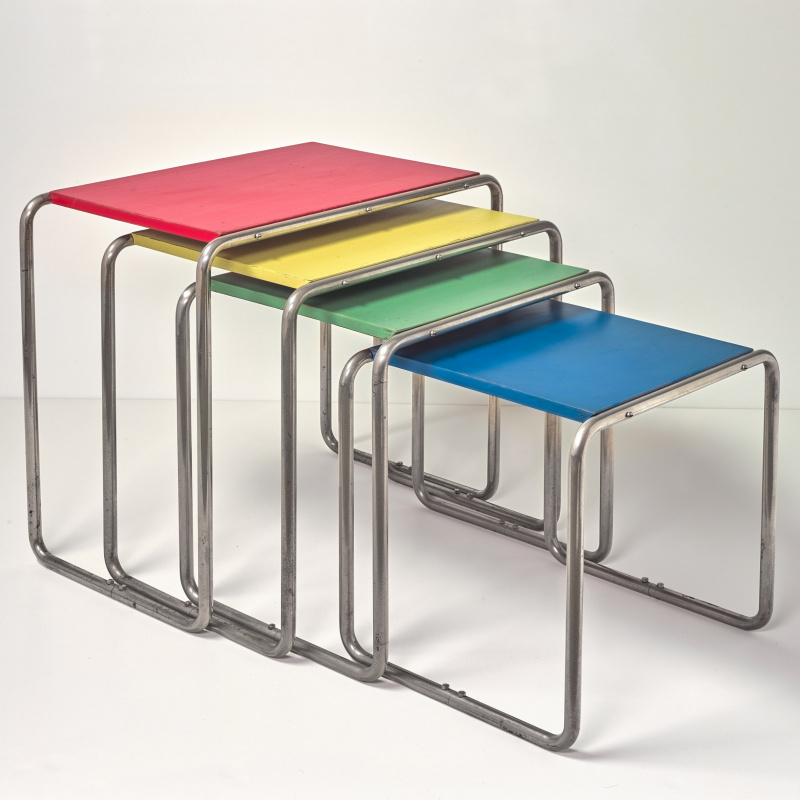 Bauhaus did not promote a single formula or style, but an ethos and an educational program. Its founding director, architect Walter Gropius, dreamed of merging art and crafts into a single holistic discipline, outlined a visionary idea of design, mixing practical suggestions with grandiose statements. This wide-ranging retrospective will feature over 60 artists, designers, architects from the Netherlands, all of whom were involved with the Bauhaus between 1919 and 1933. With more than 800 objects, the exhibition "Netherlands ⇄ bauhaus — pioneers of a new world" at Museum Boijmans Van Beuningen offers a comprehensive insight into the history of interdependence of the Bauhaus and the Netherlands. The focus is also on the city of Rotterdam, which was the centre of the New Architecture in the Netherlands of the 1920s. Tel Aviv, whose White City, a UNESCO World Heritage Site, contains more buildings—4,000-plus—in the Bauhaus style than any other city in the world. 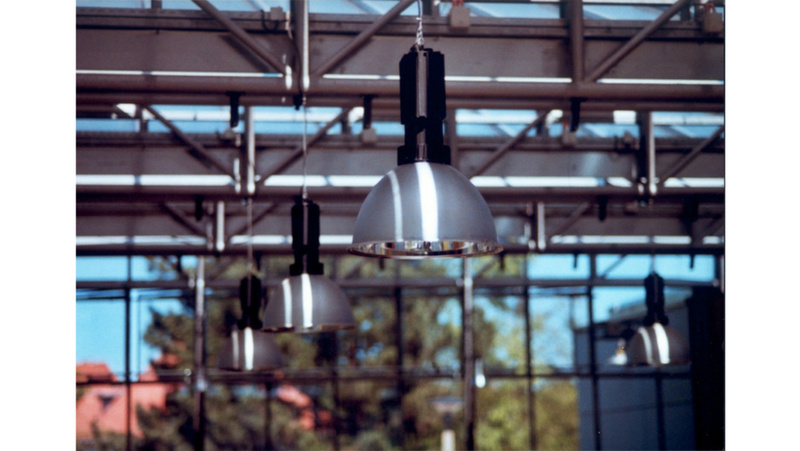 (The Bauhaus Center leads organized architectural tours around the city.) The White City Center is planning several major projects as part of the Bauhaus centenary in 2019: the exhibition "The Matter of Data" and the digital exhibition "The Architecture of Exile" are rounded off by the multimedia art project "The Transfer Agreement", a cooperation with the Bauhaus Dessau Foundation that will take place as part of the "Triennial of Modernism". With the New Bauhaus under the direction of László Moholy-Nagy, Chicago became the new centre of modernism in 1937. Its successor institutions, which now belong to the Illinois Institute of Technology — the Institute of Design and the College of Architecture — are both actively involved in celebrating the 100th anniversary of the Bauhaus. 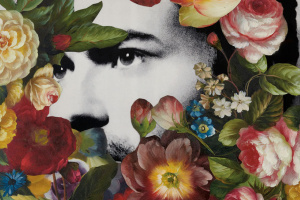 make well-designed objects, high-quality furniture and textiles for a mass market." Club chairs by Marcel Breuer can be seen during a preview at the Bauhaus in Dessau-Rosslau, Germany, 12 April 2017. HENDRIK SCHMIDTPICTURE ALLIANCE VIA GETTY IMAGES. The influence of the Bauhaus masters on architecture, design, and the production process in America was enormous. In 1930, Harvard University hosted the first Bauhaus exhibition in the U.S., and soon became the unofficial center for the Bauhaus in America. (Gropius joined Harvard’s department of architecture in 1937.) 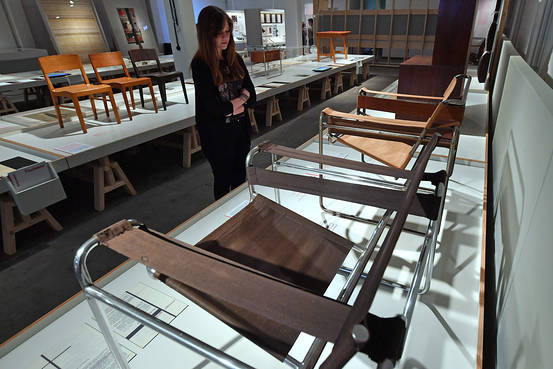 Today, Harvard’s Busch-Reisinger Museum houses the largest Bauhaus collection outside Germany, thanks to the efforts of Gropius and many former Bauhaus teachers and students who emigrated from Nazi Germany. 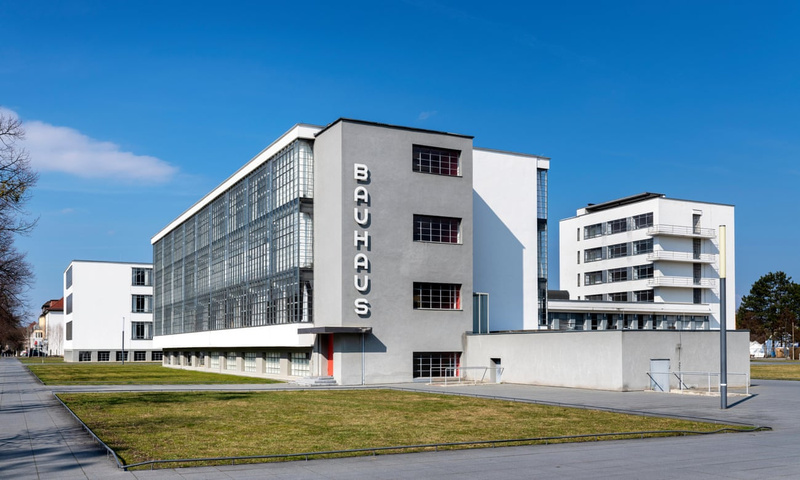 "The Whole World a Bauhaus", the 100th anniversary exhibit of Bauhaus work, is now on display at the Elmhurst Art Museum—and this is the only place in the U.S. where you will be able to view this important exhibit of art, design and architecture. The exhibit includes photographs, works on paper, models, documents, films, audio recordings and furniture and household objects from the 14 years—1919−1933—in which the Bauhaus operated in Germany.